Built on reclaimed Thames marshlands, the Thamesmead area features 7km of canal and five major lakes, all owned and managed by housing association Peabody. This network is part of a complex drainage system that protects local residents and businesses from flooding. 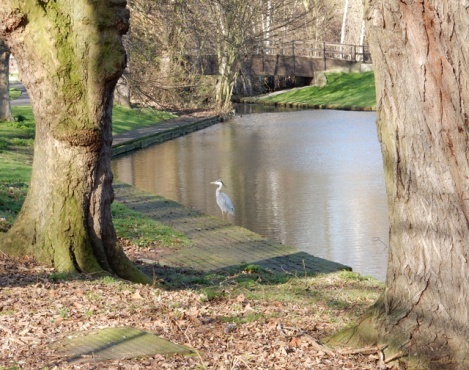 The canals are man-made and concrete-lined, limiting opportunities for natural vegetation, and they suffer from a number of issues including poor water quality, litter and plastic pollution, and invasive species including floating pennywort. 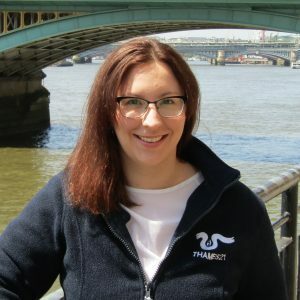 Beginning in 2017, Thames21 has been working with the community to improve the canals, in partnership with London Wildlife Trust and Peabody. Under the Thamesmead Canal Habitat Enhancement Project more than 280m2 of reedbed has been installed so far, with the help of the local community. The project aims to transform the waterway environment through involving local people in installing floating reedbeds in the canals. These reedbeds bring colour and boost biodiversity, increase wildlife habitats and they can also boost the water quality around them by helping filter pollution. This approach builds on the success of our Project Reedbed work on the river Lea where Thames21 has installed more than than 100o square metres of reedbed. The floating reedbeds consist of native flowering plants such as marsh marigold, purple loosestrife, flag iris, as well as the common reed Phragmites. They attract invertebrates such as damselflies and dragonflies, provide wildlife habitat for wildfowl and places for fish to hide and spawn. Reeds filter pollution by taking up nitrates and phosphates, overly present in polluted urban rivers. 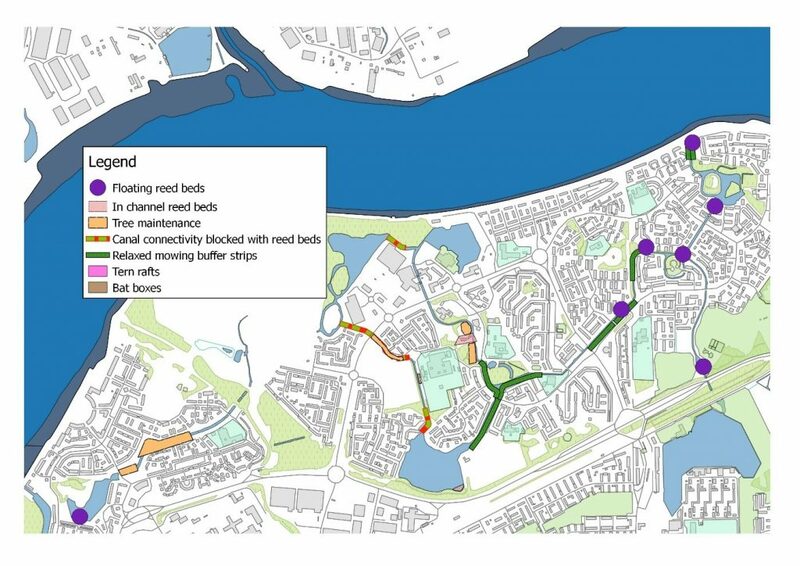 An area totalling over 280m2 of reedbed islands has now been installed in Thamesmead since March 2017. 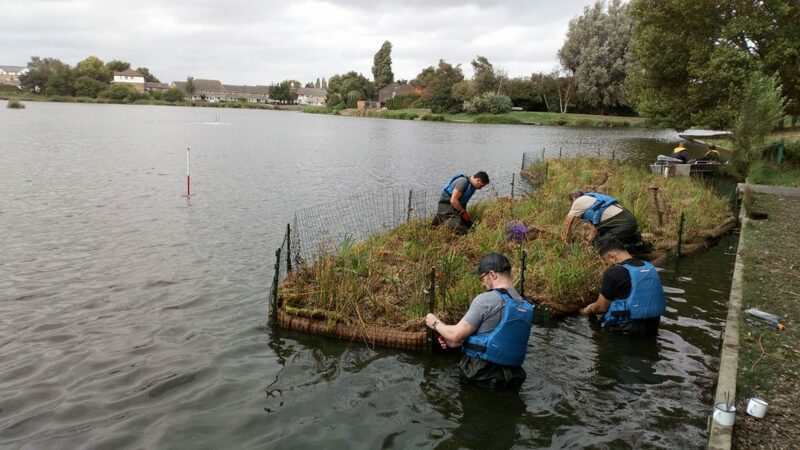 Between July and October 2018, 264m2 of floating reedbeds were installed by Thames21, London Wildlife Trust and volunteers. The Harrow Canal between Windrush Primary School and Abbotts Close now contains a combined length of 150m of reedbed within a stretch of 350m of canal. We have also scoped out seven additional areas in Thamesmead which make good sites for further reedbeds. Thames21 and London Wildlife Trust worked with Peabody throughout the process of planning and delivering the reedbeds. The Peabody canals team assisted with logistics and installation of each reedbed. 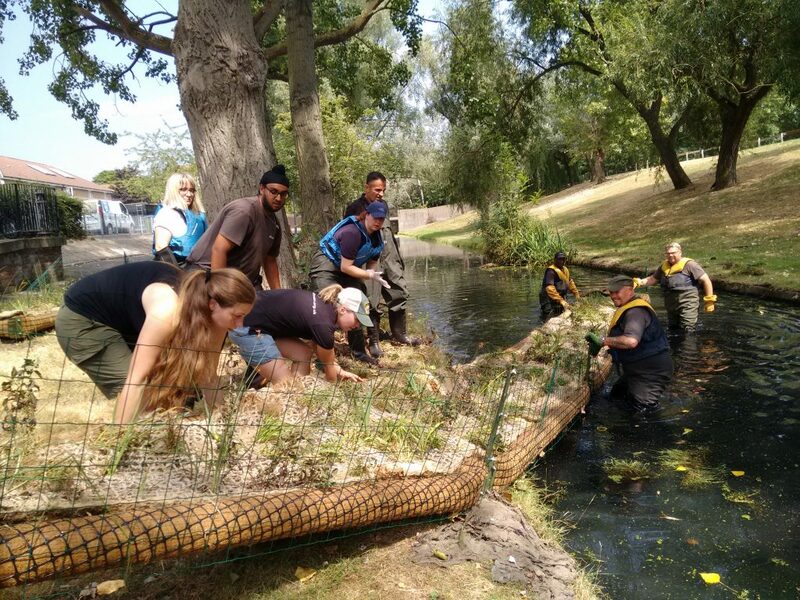 Community groups including Thamesmead Town Angling Club, who are based at Birchmere Lake, were also consulted throughout the process, and helped to build and install the Birchmere islands. The project also offers those participants free accredited training in how to maintain these natural habits for wildlife such as birds and fish. The project is funded by the GLA, the Environment Agency, Enovert Community Trust and Peabody.